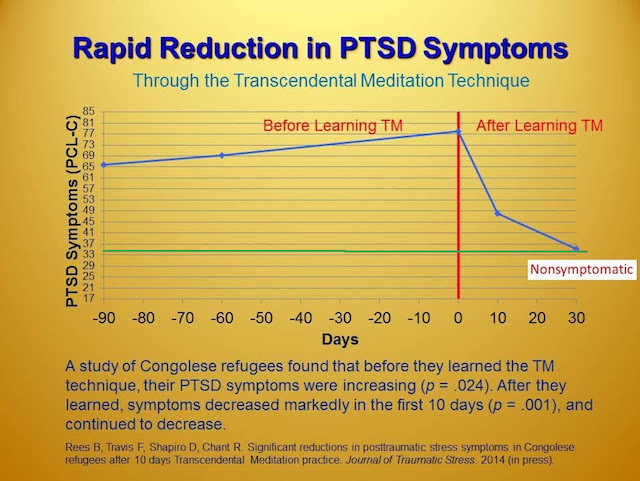 The Simple Technique that dramatically Reduced PTSD Symptoms in Refugees. Although the Democratic Republic of Congo (DRC) had been at war for decades, Pamela, her husband, and children had managed to avoid the conflicts that had already killed six million Congolese. Living in the warring state of Kivu could mean a rapid change in fortunes. Despite years of comfortable food and dress, with a loving husband and family, her fortunes changed one day in 2008 when a large group of soldiers barged into her home. After the soldiers returned eight months later, Pamela fled with some her children to Kampala, Uganda. In the escape, some of her children got separated from her. Here, she hoped to begin a new life. But she kept getting threatening notes from enemies in Congo: “Kampala is no heaven. It is no haven. We will find you.” And the horrors of Pamela’s past haunted her day and night. She slept fitfully and wept uncontrollably. “Before, if someone was to tell me of a problem, I would panic. My heart would race. I had no peace of mind. I also did not sleep since 2008,” Pamela said. Pamela was suffering from post-traumatic stress disorder (PTSD). Symptoms of PTSD include flashbacks, persistent fear, uncontrollable anger, depression, insomnia, drug abuse, feelings of hopelessness, and more. Victims of PTSD often become incapable of caring for themselves or their families. Pamela was not alone in the challenges that she faced. African PTSD Relief estimates that up to 100 million Africans suffer from PTSD. These men and women have experienced the trauma of war, terrorism, violence, sexual abuse, or natural disasters. In Uganda, Pamela’s life took an unexpected twist. I had put together a research team including Dr. Brian Rees, a Medical Doctor and Colonel in the army with five tours of duty in Iraq and Afghanistan who was a military expert in PTSD, Dr. Fred Travis, an experienced statistician, and myself. 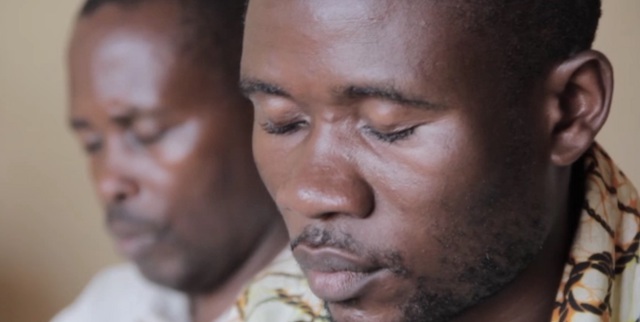 We welcomed Congolese war refugees with high levels of PTSD symptoms to join a test to see what kind of effect Transcendental Meditation would have on PTSD. Pamela received the invitation, joined the study, and learned Transcendental Meditation. Transcendental Meditation (T.M.) is a simple, natural technique that involves sitting with eyes closed for 20 minutes twice a day. The technique releases stresses from one’s physiology, creating a unique state of deep relaxation. T.M. supports healthy, coherent cognitive functioning. The practice is not linked to any doctrine, religion, or philosophy. Hoping for an improved quality of life for herself and her children, Pamela agreed to learn T.M. Within 30 days of beginning Transcendental Meditation (T.M. ), Pamela noticed a profound change in herself. Was Pamela’s response to T.M. typical, or was it an anomaly? A 2013 study involving Congolese refugees shed light on the issue. African PTSD Relief decided to sponsor an experiment. They taught T.M. to 21 Congolese refugees, with 21 others serving as a control group. All of the refugees suffered from high levels of PTSD. The study took place over a period of 135 days. Within 30 days of practicing T.M., 90 percent of the participants had reached “non-symptomatic levels” of PTSD. These levels remained low for the rest of the study. By contrast, the non-meditating control group did not show any reduction in symptoms. T.M. : A Cure for PTSD? Does it Restore Resilience? Will T.M. become a standard treatment for PTSD? Dr. Travis shares his thoughts. I had practiced Transcendental Meditation for 35 years and knew it was an effective tool for stress reduction in general. Now, having seen that Transcendental Meditation can produce such a dramatic and rapid relief from chronic, debilitating traumatic stress, PTSD, in this group in just 30 days, I formed PTSD Relief Now and its African PTSD Relief projects to help the 100 million Africans and the hundreds of millions of victims of trauma around the world come rapidly out of this debilitating disorder. Thousands of Africans have been helped in schools, orphanages, widows groups, and the general population in Kenya, Tanzania, South Africa, South Sudan, Uganda, Congo, and other areas of the continent. Over 100,000 Africans have asked for support. Now, for $25-$100 for the first year, an African with post-traumatic stress can return to a normal and productive life. Most victims of war, civilians and soldiers, sexual and physical assault victims, and all those suffering from chronic traumatic stress find rapid reduction in symptoms with this tool. Those who are employing other PTSD reduction tools may add on Transcendental Meditation to accelerate the healing process. T.M. is bringing hope to those suffering from past traumas. Pamela, for one, appreciates the renewed resilience and joy this technique provides. It has brought her from trauma to tranquility. Speaking of T.M., she says, “Before, I could not imagine being able to take care of my children. I imagined I would die, leaving them behind. *Note: because of ongoing threats to Pamela’s life, her name has been changed in this article. Please see the bio below for ways to help. This is wonderful news for anyone suffering from PTSD, or any related symptoms. It is so inspiring to know that relief can be immediate, and also continue over time. 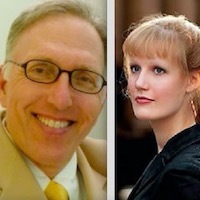 Krista Noble is a freelance writer and Ph.D. researcher at Maharishi University of Management. She received her master’s degree in Indian philosophy and is pursuing her doctorate in the same field. She has practiced Transcendental Meditation for 17 years. David Shapiro is the founding President of African P.T.S.D. Relief, co-author of the two studies on P.T.S.D. published in the Journal of Traumatic Stress. He is author of a number of popular articles published in Afro, Algeriepatriotique, and hundreds of other journals around the world. He presented at the InternationalSociety of Traumatic Stress Studies Annual Meeting, November, 2016. African P.T.S.D. Relief has helped thousands of Africans come out of P.T.S.D. and has monitored their progress using standard evaluations. For more information, please David the author here. To donate to help Africans with PTSD, go to this site and click the “Give Now” button.